| Lessons from the career & life of the acclaimed actor Peter Falk. Home > Blog	> Lessons from the career & life of the acclaimed actor Peter Falk. Lessons from the career & life of the acclaimed actor Peter Falk. Do you feel that you have some unique personal challenges that may hold you back in your career? Maybe it is your age, your nationality, education or personal circumstances. 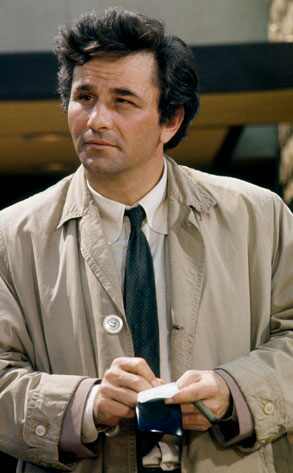 This past week, Peter Falk died at the age of 83. He who was famous as the story telling grandfather in the cult classic movie The Princess Bride & as Lieutenant Columbo, the cigar chewing, rumpled trench detective from the acclaimed television show Colombo. When I was growing up, I have memories of my parents watching his show on Sunday nights. He is famous for the line “Just one more thing…” which also was the name of his biography. This statement was a key way he introduced an additional question, which usually solved the crime. Peter was slightly cross-eyed, somewhat awkward and was not particularly handsome, not an ideal combination for an actor. Studio boss Harry Cohn said to him “why should I hire you, when for the same price I can get an actor with 2 eyes?” Peter found strength in his uniqueness and stood out with his sense of humor, an inquisitive mind and incredible talent. He went on to have an enduring career as an actor including being directed by Stephen Spielberg. You may relate to Peter the underdog, you might have some challenges in your own career. Three key things stand out as I think of Peter’s success. 1. Find strength in your uniqueness and embrace who you are. Don’t get in your own way, and use your challenges as an excuse, find beauty and strength and usefulness in them. 2. Accept the mysteries in your life, and ask the unexpected questions. Just one more thing, was a way for Peter to inquire and find solutions and opportunities where others were confused. 3. Nurture wisdom and humor in your life. In Peter’s obituary, his daughters expressed that they were going to miss his humor and wisdom. Two very important elements for anyone to have a successful career and life. If you are looking for more advice on how to overcome challenges, listen to my podcast with Jeff Wise, author of Extreme Fear. Rest in peace Peter, thanks for being a wonderful example of how to overcome personal challenges, find creative solutions and reap the rewards of a long and engaging career. Continue the conversation on my blog; What do you think? Webinar Get The Right Career Right Now! Join me Thurs, June 30 12-1 P.M. E.T. I will be sharing how to identify what’s next for your career path. Just one more thing…along the road with you! PS. We are growing. We are looking to add a new Career Coach to our Vancouver team. Send me an email alan@CareerJoy.com with a short bio & we can discuss your fit.